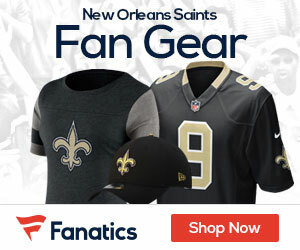 The Saints made roster moves on Friday, the biggest was the release of veteran kicker John Kasay, meaning the Saints will go with Garrett Hartley at the kicker spot. Hartley made 6 of 7 field goal attempts during the preseason, while Kasay made 2 of 4. The team also terminated the contracts of the following veteran players: WR Greg Camarillo, K John Kasay and TE Derek Schouman. The following players were waived by the Saints: LB Kadarron Anderson, DE Braylon Broughton, LB Ezra Butler, QB Sean Canfield, DE Alex Daniels, TE Michael Higgins, CB Nick Hixson, S Jerico Nelson, G DeOnt’ae Pannell, T Aderious Simmons, WR Andy Tanner, C/G Matt Tennant and LB Lawrence Wilson. The following players were placed on reserve/injured: RB Joe Banyard, S Jose Gumbs, CB Marquis Johnson and WR Nick Toon. The following players were placed on the reserve/suspended list: LB Ramon Humber and DE Will Smith.